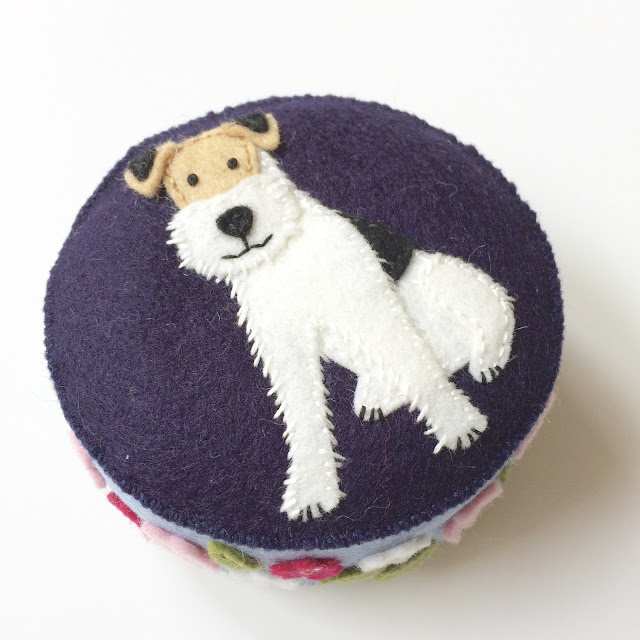 Last week I was contacted by someone to see if I could make a custom dog pincushion. 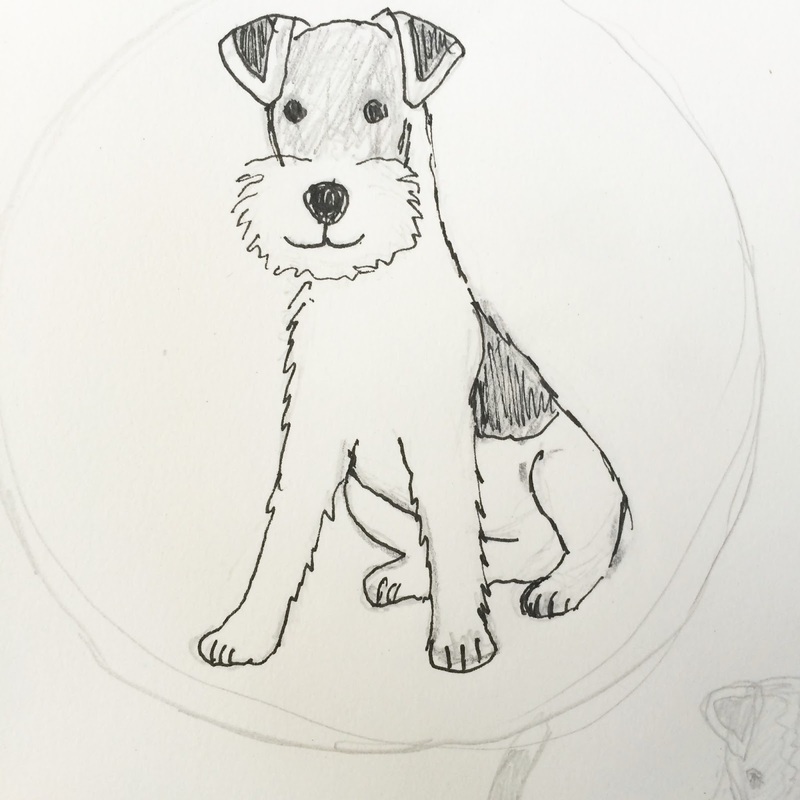 She wanted a wire hair fox terrier on her pincushion. These are really cute little dogs, I had no idea what they looked like till I checked The American Kennel Club website and looked on Pinterest. 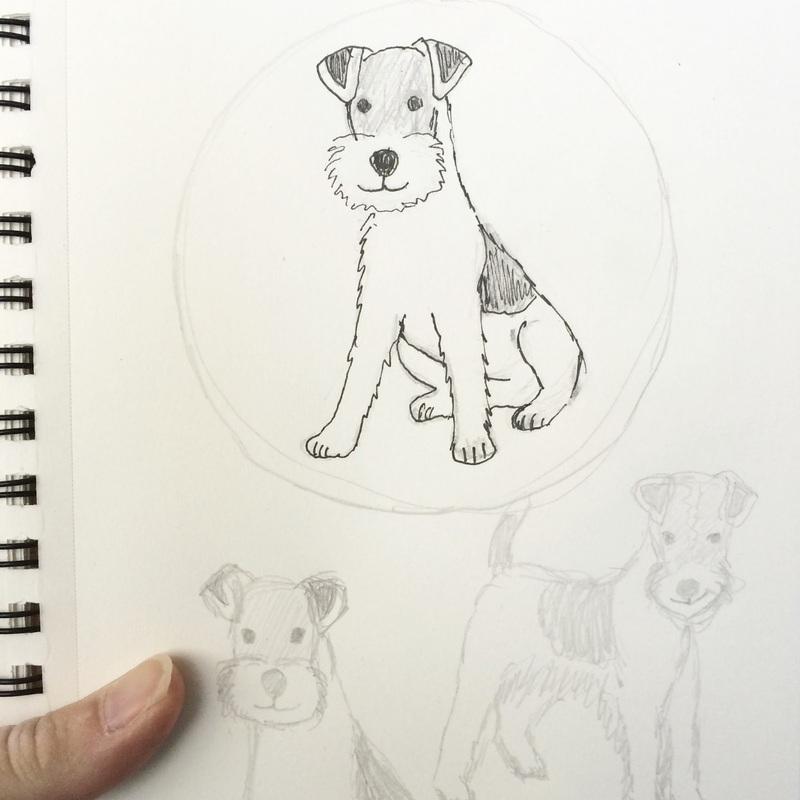 My process for custom orders is to first provide the customer with a sketch and get approval before working together to choose colors. After that I set up a custom listing in my Etsy shop and then after the customer purchases it, I start work. 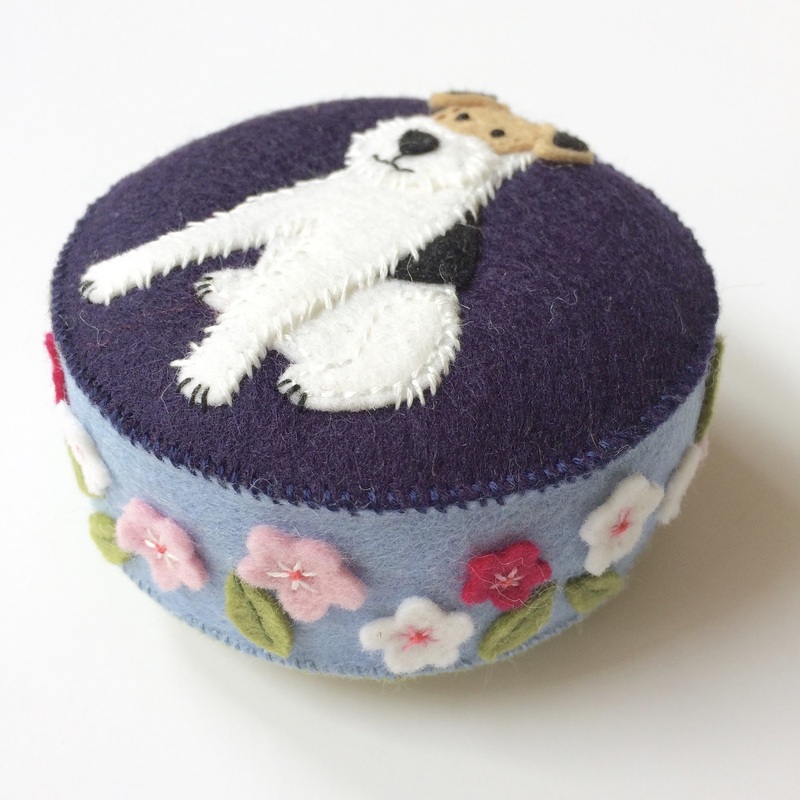 I worked on this over the weekend and finished up this morning so now this little puppy is winging his way East. I wish I had taken a bit more time to photograph this pincushion but time was tight this morning and I wanted to get this packed up for shipping. It came out cute though!